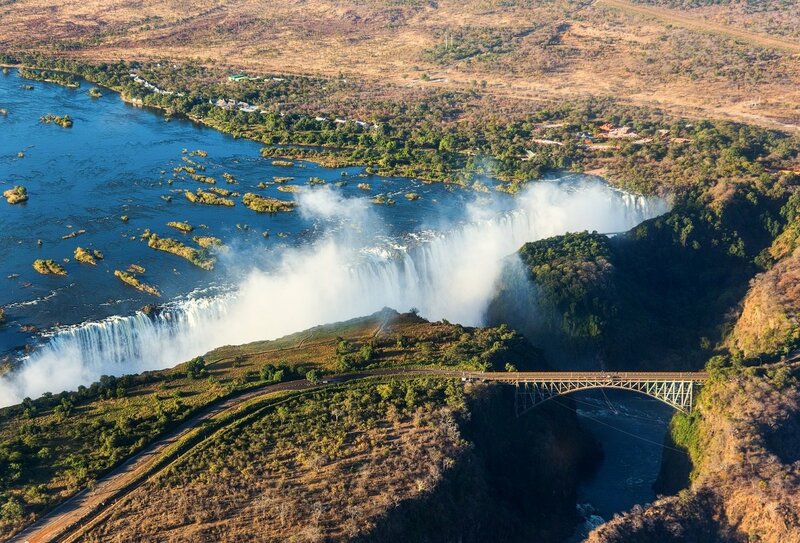 Travel to Livingstone in your own time and visit the world-famous Victoria Falls! 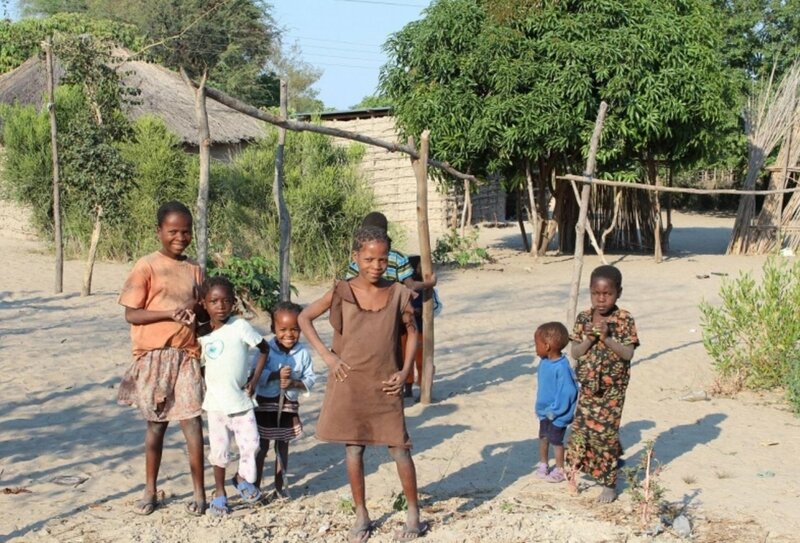 On this amazing and quite unique programme, you'll be getting stuck in to community life in Mwandi village right from the start! 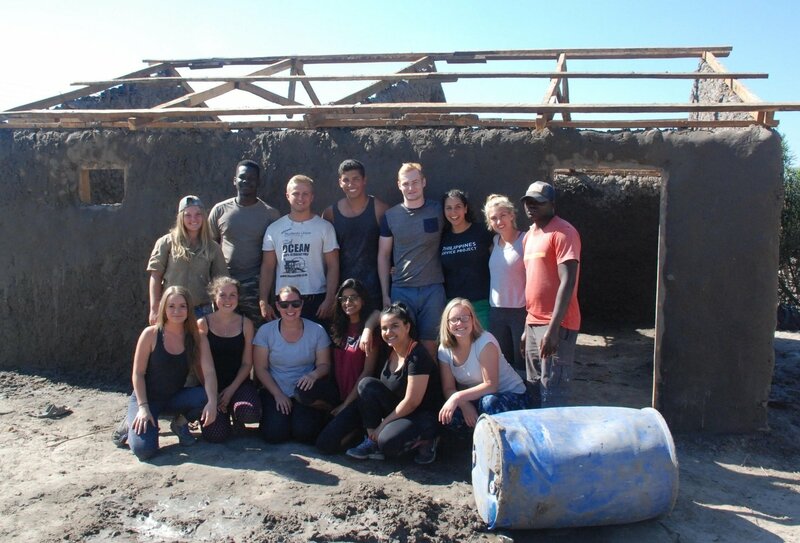 Get your hands dirty, help to build new homes for a rural Zambian village using traditional methods, and learn from an amazing community about their culture and way of life. You'll also have the rewarding opportunity to help out at local schools and nurseries and visit a local feeding programme for local disadvantaged children. After all that hard work you'll be in need of a well-deserved break and we've got just the thing – an epic optional safari in Botswana! 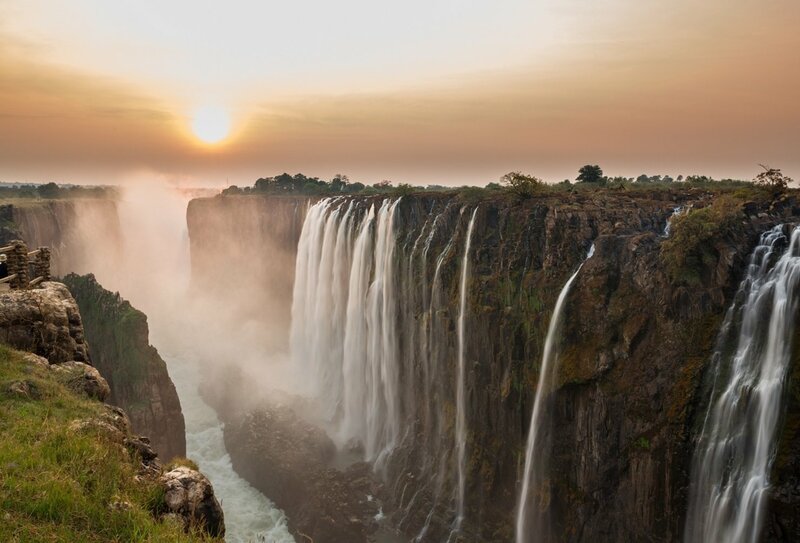 Experience awesome landscapes, loads of wildlife and photo opportunities galore.And if that's not enough, our brilliant in-country team can even arrange a trip to Victoria Falls for you! 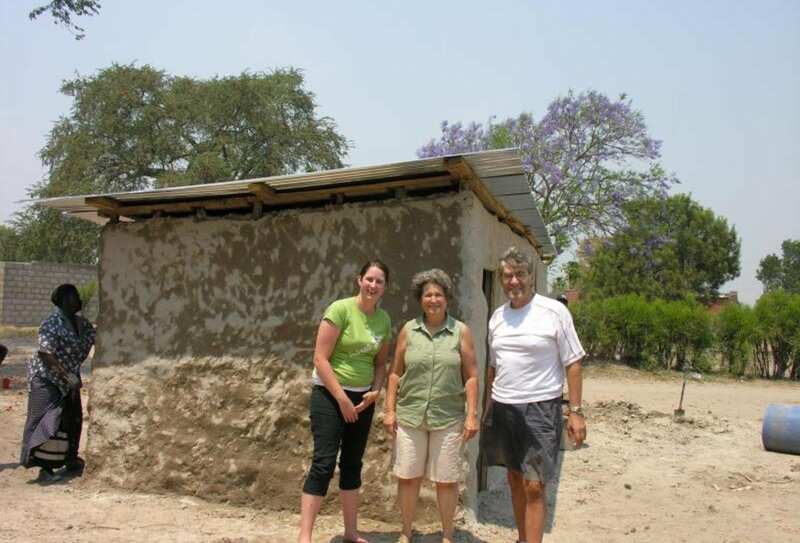 On arrival at Zambia, you'll be met by one of the local coordinators who will take you to your accommodation to get settled in before a welcome orientation, where you'll meet the rest of the crew and your fellow volunteers before going on a tour of Mwandi village. Everybody's really friendly, so they'll make you feel settled in no time. 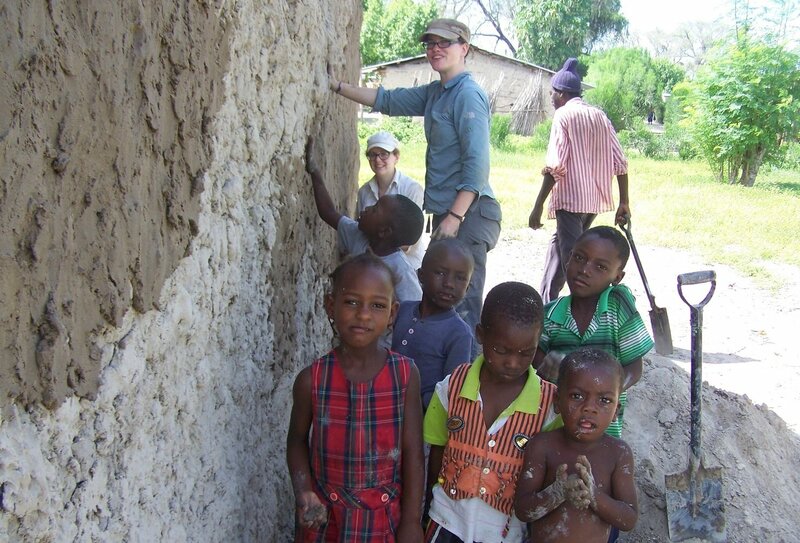 The main focus of your volunteer work will be building African-style houses using traditional methods and materials, such as mud from termite mounds and wood, for the neediest families in the village. 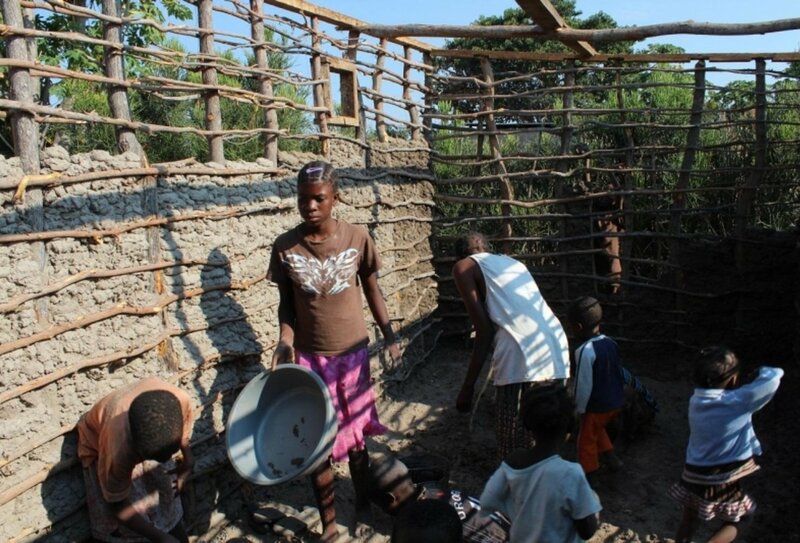 Everyone gets involved in building the new homes, from young children to elderly village residents. The qualified local staff will also be on hand to show you what to do and guide you through. As a volunteer, you might also be able to assist teachers in the village preschool or middle school with classes. If you're a qualified teacher, you might even be given the opportunity to hold some of your own classes. Close by, there's a centre for disadvantaged and vulnerable children, where a feeding programme takes place to give the children there a healthy lunch, six days a week. You'll be invited to visit the feeding programme and observe the fantastic work that's taking place there. After school hours, you are welcome to spend time with the children playing games and helping them with their reading. Sport is also popular with the children – and they'd be so delighted with the opportunity to play any games with willing volunteers. In your downtime, you'll get to explore the region, with your helpful team being able to organise trips and activities for you. 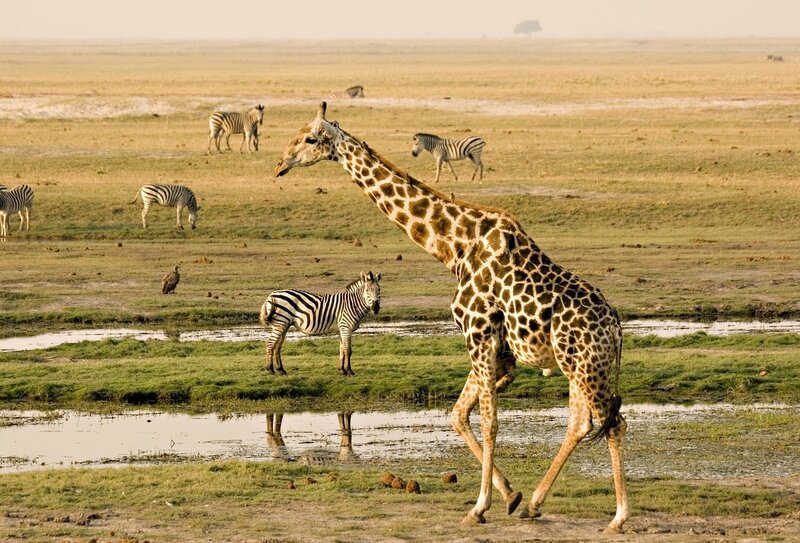 You'll have the opportunity to visit nearby Victoria Falls – a must-do while you're in Zambia, and if you are staying for three weeks or more then why not add on a fantastic five-day safari in Botswana, where you'll get to see some of Africa's most incredible wildlife. 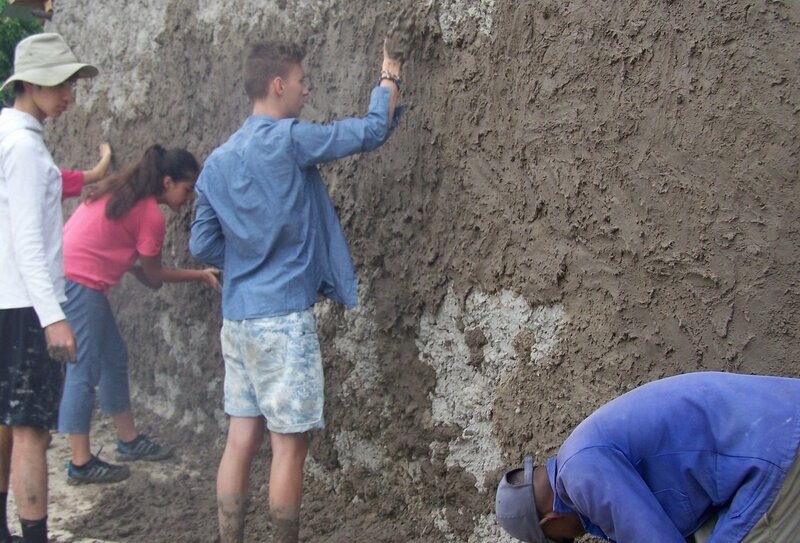 You'll need to be happy rolling up your sleeves and getting your hands dirty as you volunteer with the local community in Mwandi. You'll be helping to build new homes for the neediest villagers using traditional building methods, and you'll be working in conditions that can get very muddy, so please make sure you pack clothing you don't mind getting grubby! You'll be supervised at the building projects by at least one qualified member of the team. 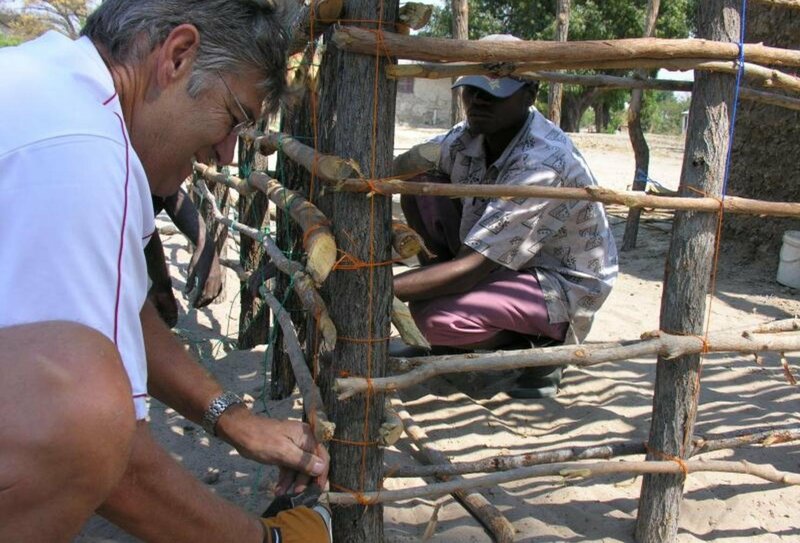 They will teach you traditional Zambian building techniques using local and natural materials, mainly mud from termite mounds and wood. You'll find that you're often joined by members of the community as well as children wanting to help out – it's a real community effort and a rewarding project to be part of. 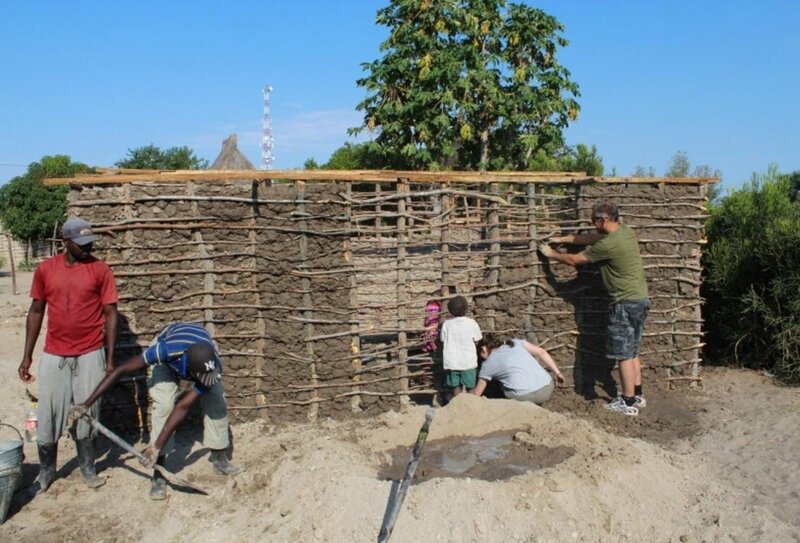 Although the majority of the focus of your volunteer work in Zambia will be on the building project, no two days are alike, and you'll often have the opportunity to offer your help and time in other areas that need volunteers. You might want to go and assist teachers in the local school with classes, help the local children with their homework, or help organise games and sporting activities for the children outside school hours. You can also help out at the nursing home, and feeding programme at the local care centre for disadvantaged and vulnerable children. 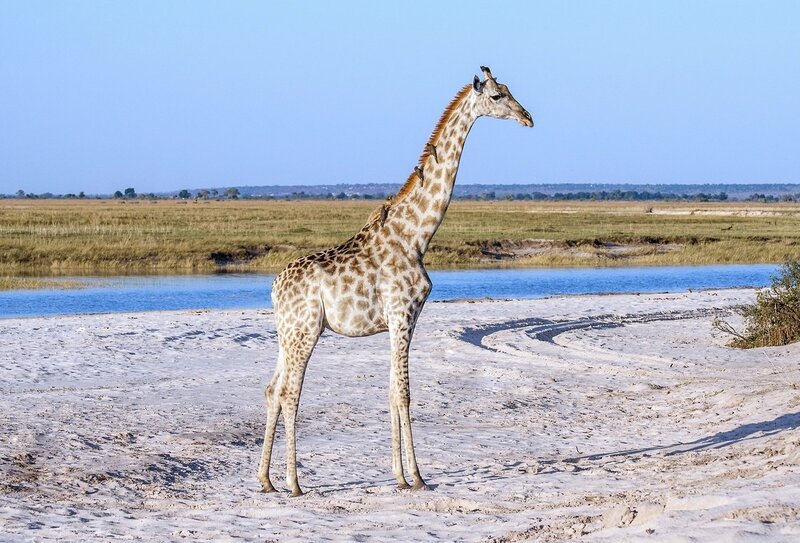 The Botswana safari is completely optional, and comprises a four day itinerary; if you’re staying for three weeks or more than you can add this on! You'll Depart Mwandi early on the first day of the safari itinerary to make the two-hour journey to the border where we'll cross the Zambezi by car ferry – the point at which Botswana, Namibia, Zambia, and Zimbabwe meet. 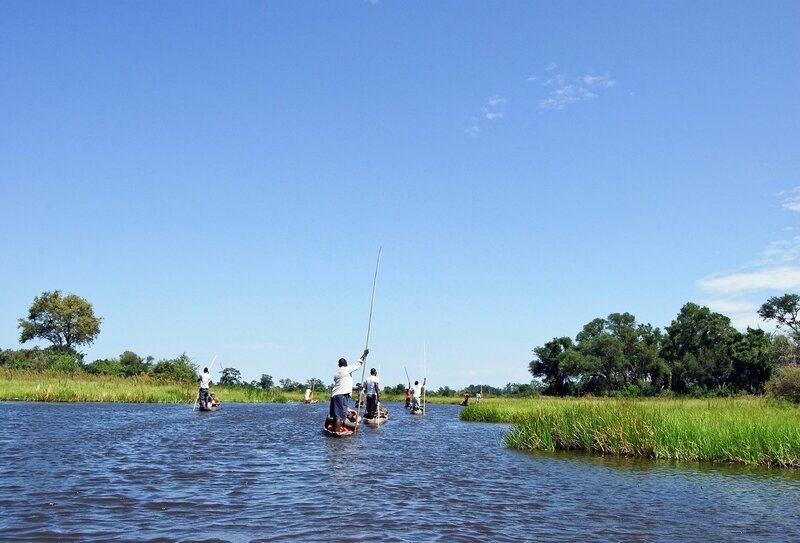 On the other side of the river, we'll make the short drive to Kasane, for a quick pit-stop. The drive to our safari base is a further three hours or so, but you'll get to see some stunning scenery on the way, and you might even spot an elephant or two! 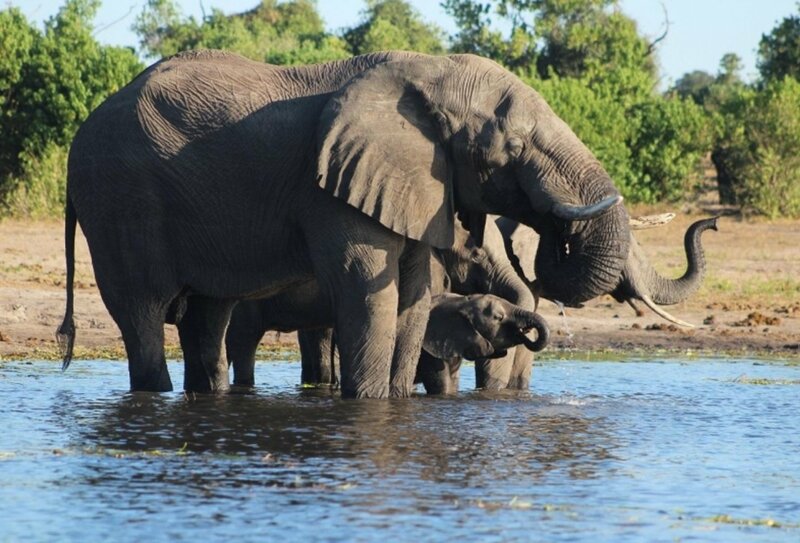 Over the course of the next few days, you'll get to go on a bush safari in an open-top vehicle at the first safari camp, head back to Kasane to check into a river safari base and enjoy a bit of chill out time and partying, go on a Chobe National Park open-top safari, and then a separate river safari onboard a boat. 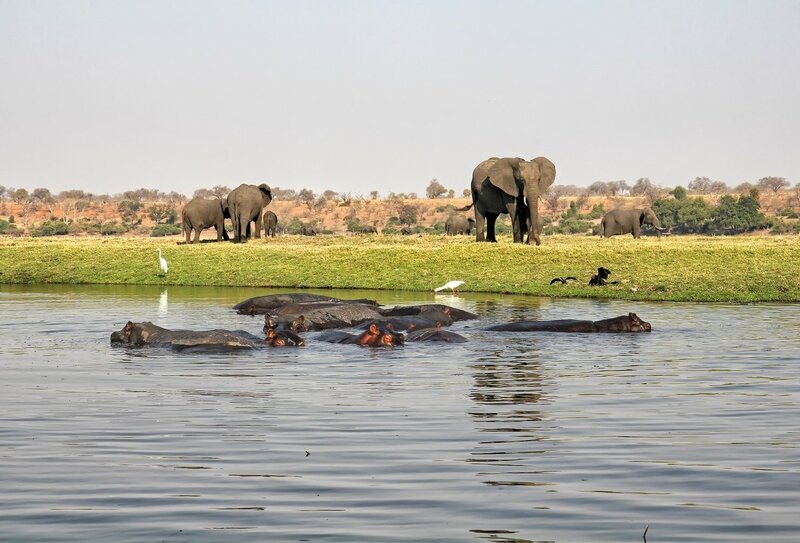 You'll see hundreds of different animal species, including elephants, hippos, crocodiles, and birds. 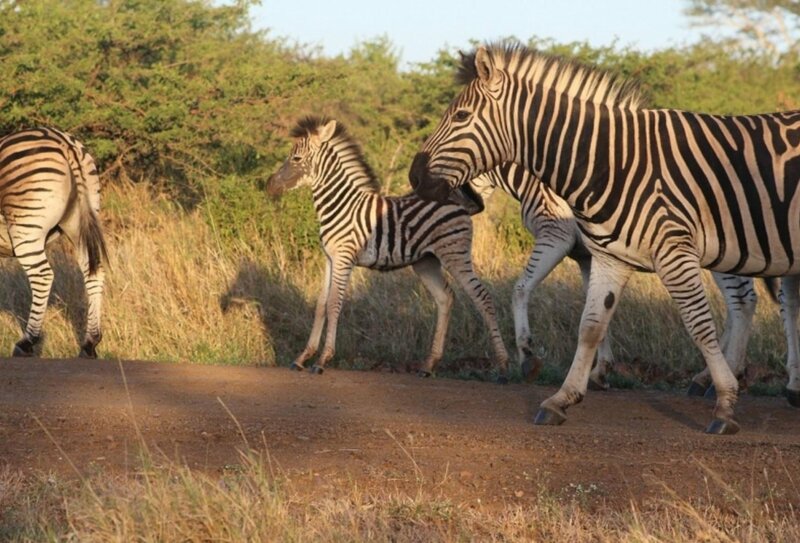 All accommodation and food is provided during the safari, as well as transfers to and from each base camp. Please note: the Botswana safari does not run during July. The project in Mwandi is centred on the immediate community and looks to improve living conditions for the families living in the village. 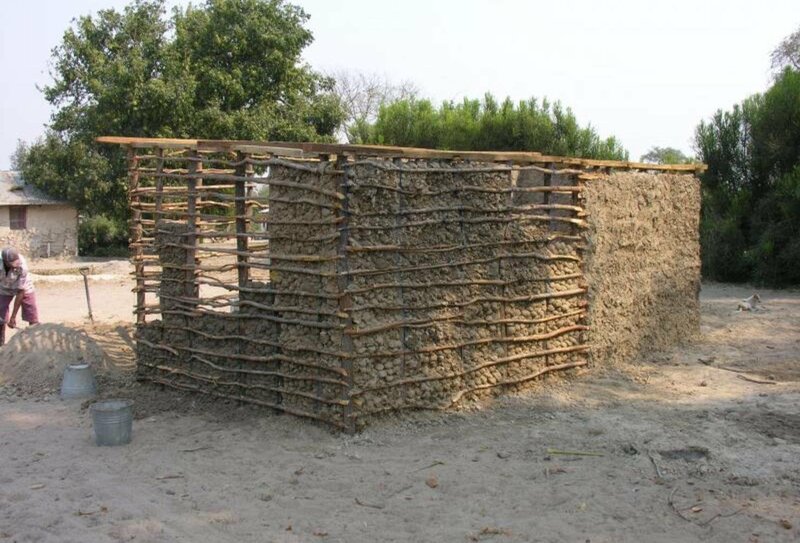 House-building is in constant need due to the lifespan of traditional mud houses. 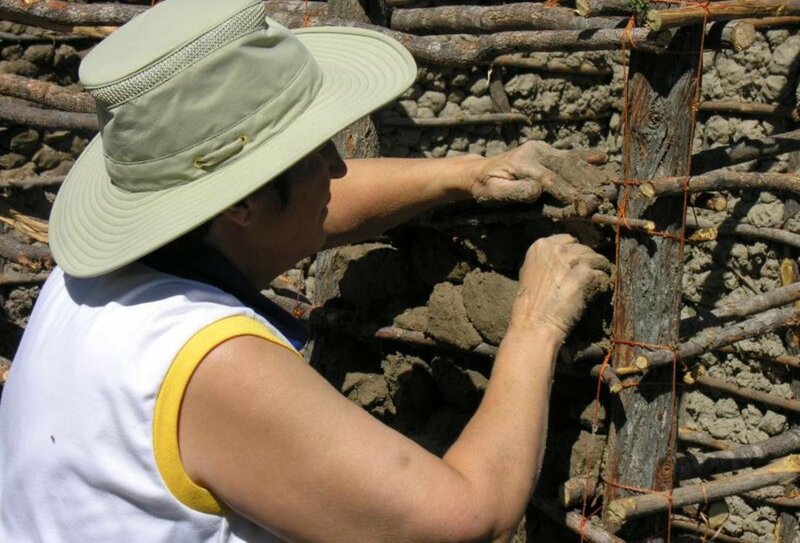 Unfortunately, weather, namely rain damage, and general wear and tear cause houses to deteriorate and become uninhabitable after ten years or so, and with many of the residents living on less than a dollar a day, it's difficult for necessary repairs to be made to ensure the safety of certain homes. This project is in place to make sure the most vulnerable members of the community have shelter and can be cared for in a safe environment. A number of the families you'll be helping might have disabilities, children might be orphaned, or might be too elderly to build their own houses. You'll be involved in all aspects of project work in the village, from building new homes so that families have a safe place to call their own and raise their families, to assisting teachers with classes and inspiring children to learn, and helping give out nutritious and healthy meals to disadvantaged children. 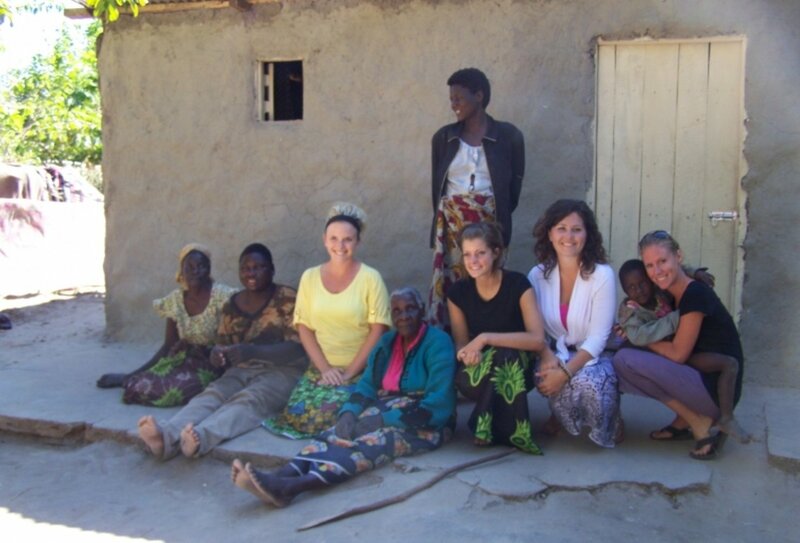 You'll be helping Zambian people directly, getting to know the families and community as a whole as you work side-by-side, building a better future for the residents of Mwandi. The project aims to help the neediest in the village, and you'll be able to see the impact your work has almost instantaneously. 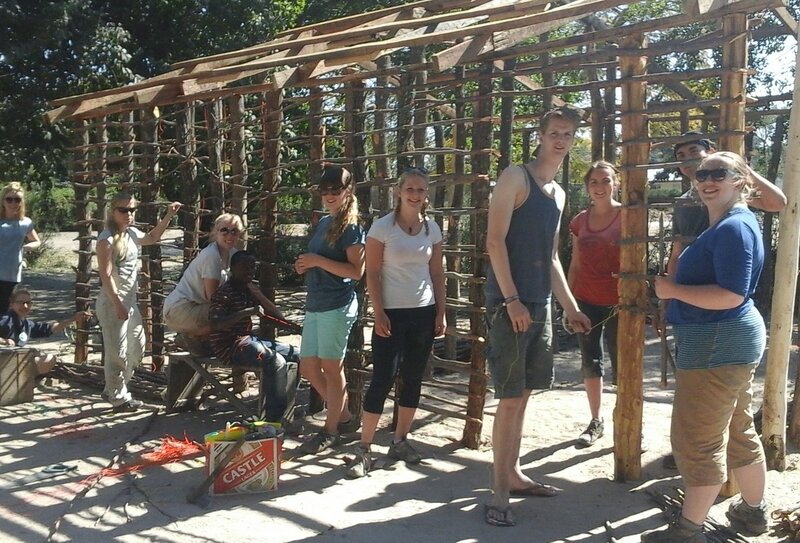 As well as learning about the true culture of a small Zambian community, spending time in a beautiful country, and learning new skills, you'll be part of a thoroughly rewarding programme and will be able to leave Zambia safe in the knowledge that you've helped to improve the lives of local residents for years to come. You'll get to pass on your own knowledge to the children, whether that's in the form of helping with their English language skills, reading, or writing, or by teaching them new games, building their confidence, and inspiring them to want to learn more. And you'll also be helping with our important feeding programme, making sure the most vulnerable children in the community are being fed and watered, as well as helping to put a roof over the heads of deserving families. Whilst on the programme in Mwandi village, you will either be staying in a basic but comfortable shared chalet or a large canvas safari tent. The chalets are en-suite, have electricity, a fan, and mosquito nets. The Canvas tents are comfortable and large enough to stand up and move around in. They are waterproof and are fitted with mosquito netting. There is also a large communal kitchen where two cooks will prepare all your meals for you, and it also serves as a community room to play cards or games or just to hang out in, there are hot and cold showers for your use in all the chalets and 2 outside safari type showers that are fully tiled where you can shower under a large banana tree. 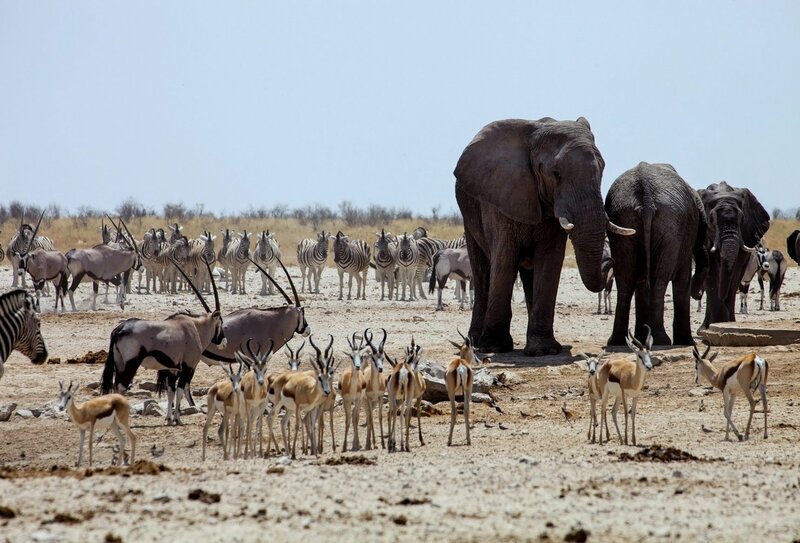 If you are volunteering for more than three weeks, you'll have the opportunity to add on an amazing safari in Botswana where you will be staying in comfortable shared lodge rooms. Breakfast, lunch, and dinner are all included throughout your project work and will consist of traditional, local dishes as well as all your Western favourites. Please let us know if you have any dietary requirements at time of booking. 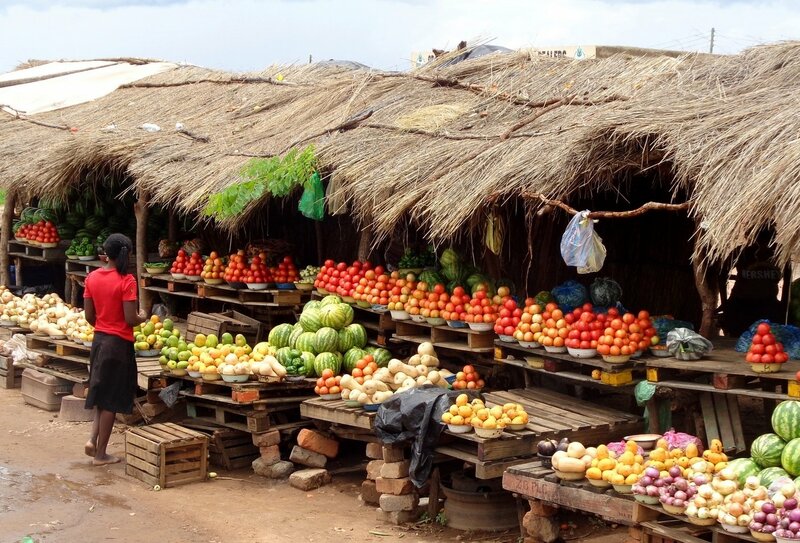 During your own time, and time away from the project if you choose to go on excursions, you'll be able to purchase low-cost food locally. Your tour guides and the staff at the project can point you in the right direction or give you recommendations. Valuables such as passports, money belts etc. can be kept in your locking rooms or locked in the office safe, which is only accessible during business hours. 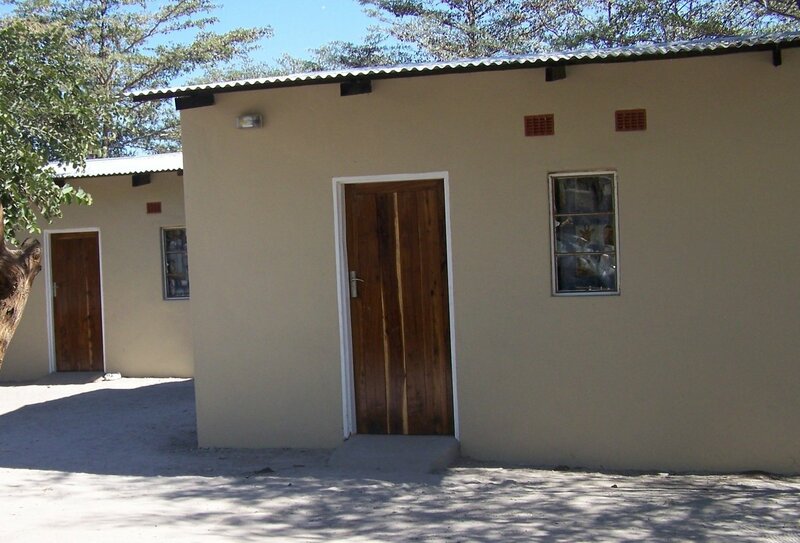 It is pretty safe in Mwandi and there will be a member of staff on site at all times. 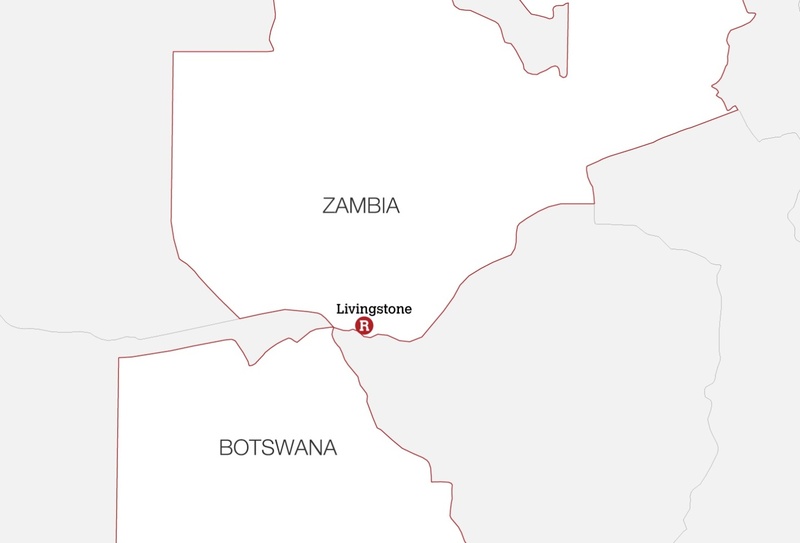 Your flight to Zambia should arrive at Livingstone airport before 14:30 on your programme start date. You will be transferred back to Livingstone on your programme end date, if you flying out of Livingstone on this day, please arrange a flight that departs after 12 noon to allow enough time for your journey back to Livingstone. If you wish to spend some days in Livingstone after your programme, before you leave Zambia, please allow a couple of days to do so. Minimum age 18, maximum decided on health and fitness of participant. You have booked a programme which requires an enhanced Disclosure Barring Service check to be completed. We can carry this out for you if you book this with us and your travel advisor will explain the charges at the time of booking. If you are from outside the UK you will need to provide us with a recent police record check from your home country. Most nationalities need a visa to enter Zambia, for this programme volunteers are requested to obtain a 30 day Business Visa. Nationals of the UK, USA, Australia and most European Countries can purchase single and double entry Business visas are available at all ports of entry. All other nationalities should consult their nearest Zambian Embassy for further informaiton. Further details regarding visa requirements will be available in your Online Account after booking. You should check your visa endorsement for the period of your stay in Zambia once the immigration stamps your passport. 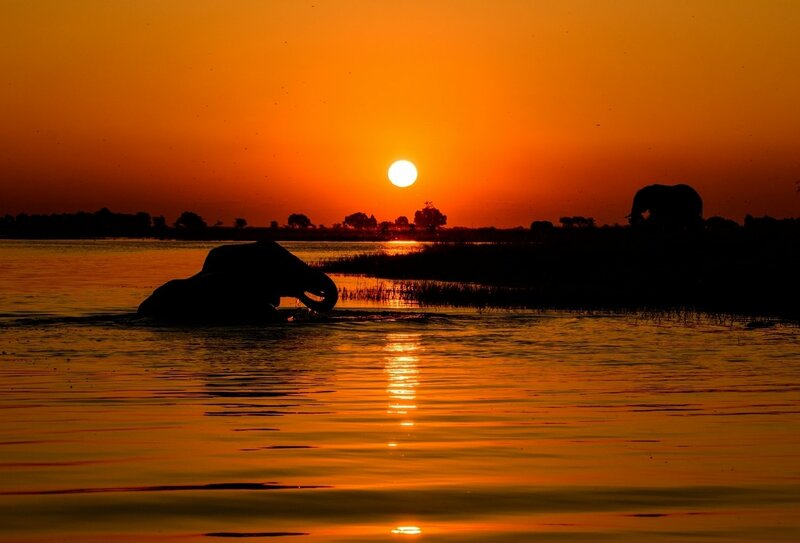 On leaving Zambia, all air passengers must pay a departure tax of US$25. Although this is normally included in the cost of an air ticket you will be asked to pay separately in Zambian Kwacha if it is not. Your passport should be valid for a minimum period of 6 months from the date of entry into Zambia and have 2 blank pages. 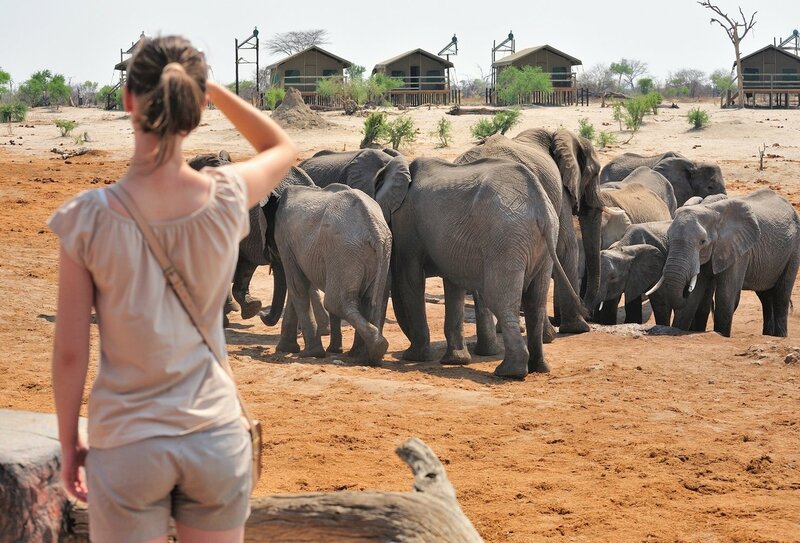 For entry into Botswana, volunteers require a tourist visa. Most nationalities will be issues with a free tourist visa at the port of entry. If you are not a UK passport holder, you will need to contact your nearest Zambian Embassy, High Commission, Consulate for the country that you are travelling to in order to obtain the relevant visa for your time away. If you would like assistance getting your visa, we recommend Visa Central who can offer you assistance and advice, making your visa application straight forward. To investigate costs for this service click here to select the country or countries that you wish to travel to. Will I Be The Only Person Travelling By Myself? No, the majority of our travellers are solo travellers and trips like this are a great way to meet new people and share incredible experiences together! How Much Spending Money Would You Recommend I Take? We generally recommend that you take around £50-£60 per week. We’re not qualified to offer you medical advice, so you should visit your GP well ahead of time to find out what inoculations you might need. Remember to tell them exactly where you’re travelling to as vaccination and medication requirements vary between different regions, unless you are coming from a Yellow Fever area you will not need the Yellow Fever injection Zambia has not had Yellow Fever in many many years. You’ll also need to make sure you have enough of any prescribed medication to see you through the duration of your trip.